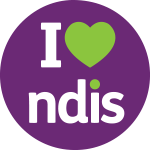 Our Support Coordination team can assist you to explore and choose NDIS service providers that are the best option for you and help you link in with community and mainstream supports such as medical services, housing, education and community organisations. Your Support Coordinator will help you to better understand the NDIS and build your ability to manage your supports, funding and the connections that are most important to you. We will assist you throughout the duration of your NDIS Plan and support you to prepare for your next NDIS plan when the time comes.